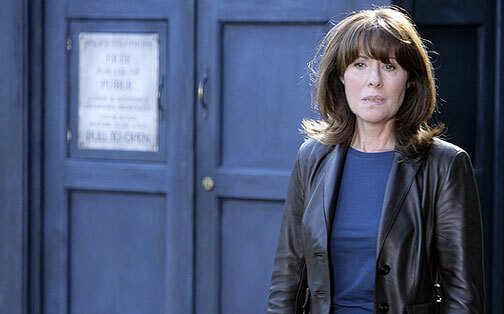 Elisabeth Sladen, widely regarded as the most beloved companion in the show's 58-year-history, appearing alongside five Doctors in both the old and new versions of Doctor Who has died aged 63. Sladen appeared as Doctor Who assistant Sarah Jane Smith in the BBC series between 1973 and 1976, opposite Jon Pertwee and Tom Baker. She returned to the series in 2006 and starred in her own spin-off The Sarah Jane Adventures. Sladen had been battling cancer for some time. A BBC spokesman said: "It is with much sadness that we can announce Elisabeth Sladen, the much-loved actress best known for her role as Sarah Jane Smith in Doctor Who and CBBC's The Sarah Jane Adventures, passed away this morning." Former producer Russell T Davies, who revived her character, said: "I absolutely loved Lis. She was funny and cheeky and clever and just simply wonderful. The universe was lucky to have Sarah Jane Smith and the world was lucky to have Lis." Current producer Steven Moffat said: "Never meet your heroes, wise people say. They weren't thinking of Lis Sladen."